The WLC-1000 Wi-Fi Home Cam | Mini and the WLC-2000 Wi-Fi Home Cam | Twist are two new Wi-Fi cameras that let users know what’s going on in their home from their mobile device, no matter where they are. 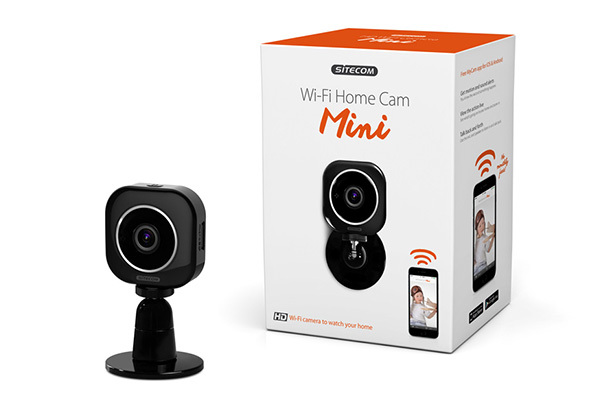 Rotterdam (The Netherlands), August 2015 – Sitecom, one of the leading European brands for home networking solutions, introduces a new line of high-definition Wi-Fi Home Cams. The WLC-1000 and WLC-2000 allow users to keep an eye on loved ones day and night, even when they’re away from home. Both cameras feature night vision, real-time alerts and two-way audio to keep users in control of their home at all times. The Wi-Fi Home Cam | Mini is an extra compact HD cam that fits easily in every nook, while the Wi-Fi Home Cam | Twist allows users to see up to 300° of their home via a motorized pan. Both cameras provide images in vivid colors and with a high-quality 720p resolution. The wide 100-degree field-of-view lets users see every detail crisp and clear. Both models can be accessed anytime, anywhere from a mobile device with the free, intuitive MyCam app. MWith customizable sound and motion alerts, users can setup the cams to secure their home when they’re not around. Real-time push notifications alert users to check in the second something is happening and offer peace of mind that their home and loved ones are safe and sound. Whether it’s used for checking in on the little ones throughout the night or seeing who approaches the front door in the dark, the smart night vision feature offer a clear view even in complete darkness. The cams detect the amount of light in the room and turn the infrared LEDs on or off automatically when required. With the two-way-audio feature, users can connect with their loved ones instantly and be right there in the middle of it. Both cams come with a built-in microphone and speaker to allow users to listen in and talk back through the camera, keeping in control no matter where they are. The Wi-Fi Home Cams allow video footage to be stored locally on a Micro-SD card or in the Cloud. The cameras come with a 4 GB microSD card and can be updgraded with microSD cards up to 32 GB. Alternatively, users can link their Google Drive account and store videos in the Cloud. The MyCam app for iOS and Android lets users check in anywhere, anytime from their mobile devices. It allows a practically unlimited* number of cams to be linked and lets up to three users access a camera simultaneously. All app features are available without any contracts or monthly fees. Users can also make use of the browser-based MyCam portal to watch their footage on a larger screen. The installation of the Wi-Fi Home Cams is so easy, that they are up and running in 3 minutes. After scanning the QR code on the back of the camera, the app applies all settings automatically and users can access their cameras immediately. Versatile and powerful, yet small enough to fit anywhere in the home or home office, the Wi-Fi Home Cam | Mini can be placed easily in the smallest nook. To give users even more flexibility, the cam can also be attached to a wall or a shelf. 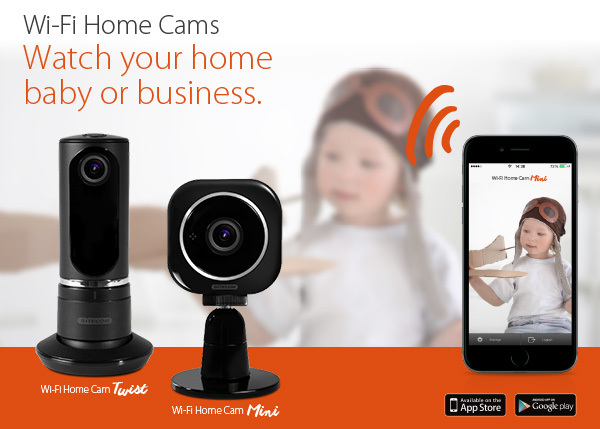 The Wi-Fi Home Cam | Twist lets users keep an eye on large rooms or kids and pets on the move. The motorized pan of 300° can be controlled with the MyCam app and allows users to view every corner of the room or follow their pets or kids around and see what they’re up to. 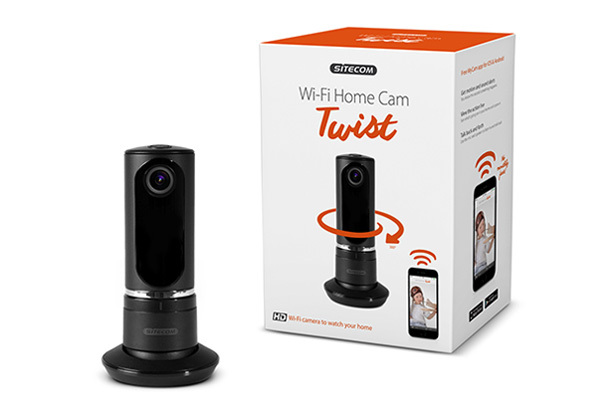 The WLC-1000 Wi-Fi Home Cam | Mini and the WLC-2000 Wi-Fi Home Cam | Twist are available via select retailers from September 2015. The line-up will be extended with more models in the near future. Sitecom is one of the leading and fastest growing brands for home networking solutions in Europe. Sitecom provides smart solutions for everyday Wi-Fi problems with the clear mission statement: “make it easy”. Sitecom makes it easy to set up a home network and to expand it by converting technical products into user-friendly solutions.